My daughter, unfortunately for me, is not a fan of getting her hair done. Her biggest issue is the tangles she constantly has in her thick locks. So when I got an email asking me if I wanted to try out Rock the Locks I knew I needed to try it. I was of course hoping it would help with the tangle situation and I ended up being right. 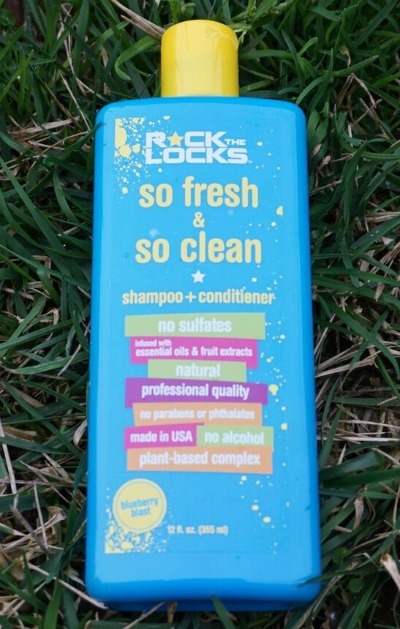 *I got the following products from Rock the Locks in exchange for my honest opinion. 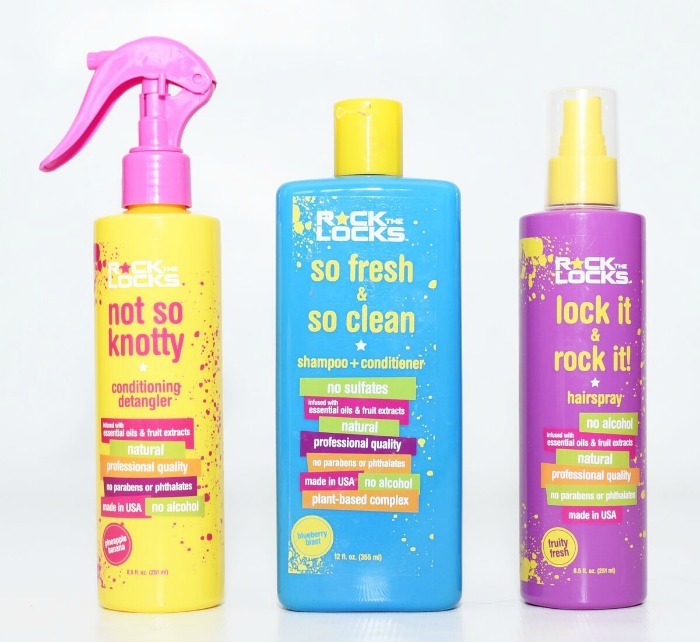 Rock the Locks currently has 6 products, these were the three we tried. The three products we got were their conditioning detangler, shampoo + conditioner, and their hairspray. The other three products they have available are their curl boost, flex style gel and texture paste. These last three products were items that would not have been used in our family. They would be great though for families with curly hair or a lot of boys. 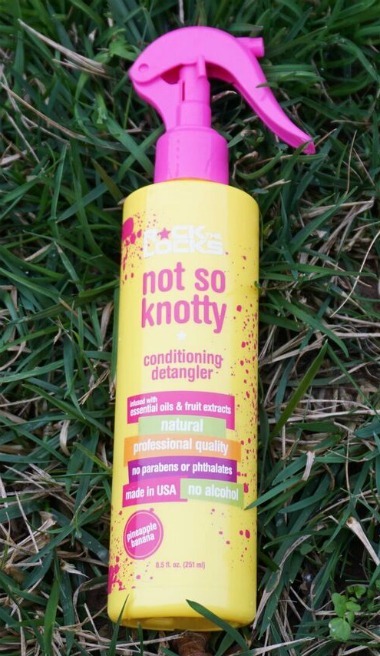 My favorite of the three products was the conditioning detangler. Since my daughter’s tangles were one of my biggest concerns for wanting to try these products I knew I needed to try this one, if I didn’t end up trying any of the other ones. So we used this one right away and it did fantastic and it smells really good. Every time I would brush my daughter’s hair after using it the first time she would run and grab the detangler first to make sure I didn’t forget. It was really easy to use and I highly recommend it for parents who also have children with hair that gets tangled often. We also liked the shampoo + conditioner. This product we liked but not as much as the detangler. This didn’t work very well with my daughter’s hair, it didn’t take tangles out as well as other conditioners had that we had used before. So we ended up just using it for my son who has no tangles and it worked great for him. He loved having his own shampoo in a blue bottle and I loved that his new shampoo had no harmful chemicals and made his hair smell great! We unfortunately did not get a chance to try the hairspray before my son decided to pour it all out on the bathroom floor. But I can say that it smells amazing! On top of these products working well the best part about them is that they are natural and safe! They use essential oils and fruit extracts. They do not use artificial fragrances, alcohol, sulfates, parabens, and phthalates. Their products are made in the USA and are cruelty free! Those are a lot of awesome bonuses that will make you feel great for using these products. You won’t have to worry about damaging your young child’s hair from the get go. Who do you know who would love these products? Let us know in the comments below!